Servicemembers make frequent use of storage facilities. The government often deploys them on short notice, and they need a safe place to keep their possessions while they’re away. In fact, many storage facilities are located near military bases for that very reason. Servicemembers use them more frequently than the general population. But what happens when no one pays the bills on these storage lockers? Storage facility owners must be careful not to violate the SCRA when they proceed with collections. The SCRA — the Servicemembers Civil Relief Act — bars storage facilities from taking action against servicemembers in arrears without a court order. An article posted to the Self Storage Legal Network implies that such situations are infrequent and nothing to worry about. But even one violation can cost you a bundle. The Department of Justice filed suit against Across Town Movers for selling the contents of a storage locker belonging to a deployed Navy member. The company agreed to settle the suit with the DoJ for $170,000. The settlement also required the company to change its business practices so, going forward, it would comply with the SCRA. Even one violation can spell the end for a small storage facility. 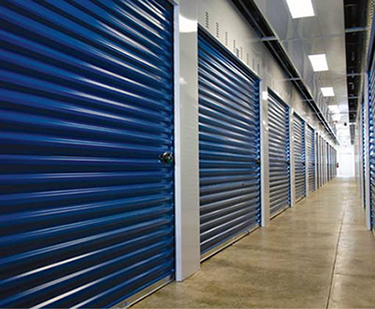 Storage facilities must file a lien before selling any items from a locker. The SCRA prohibits storage operators from taking action on the lien if the customer is in the military or has been in the military in the prior 90 days. This includes foreclosing, selling property, etc. Storage operators must get a lien from the court. The business can’t get a lien or foreclose without court action if the tenant is protected by the SCRA. The idea behind the law is to allow servicemembers to focus on their assignments. Storage facility owners may still take action against a servicemember, but not without the proper court order. As a storage facility owner, if you want to file suit against a delinquent client, you must first find out if that person is or recently was a servicemember. If you can contact the person, you can ask him or her. But you often will not be able to reach clients with delinquent accounts. If they are servicemembers, you likely will not be able to reach them because they are deployed. To find out if your client is a servicemember, you can write to the military branches, pay the fees and wait for a response. But this can take months, if you get an answer at all. And you need a Social Security number or date of birth. The Servicemembers Civil Relief Act Centralized Verification Service is quicker, easier and more reliable. For only $36.40, we provide you with verification of your client’s status, and we get it to you within 24 hours. For only $20 more, you get an affidavit, which some courts require. If results show your client is, in fact, in the service, you can still proceed with your case, but you need a court order first. If your storage facility is near a military base, you may have many clients in default on their payments, most of whom are likely in the military. Going months without payment from a significant number of clients can take a toll on a business. Get moving on these delinquent accounts today. The first step is knowing the SCRA Storage Facility Rules around verification and compliance.